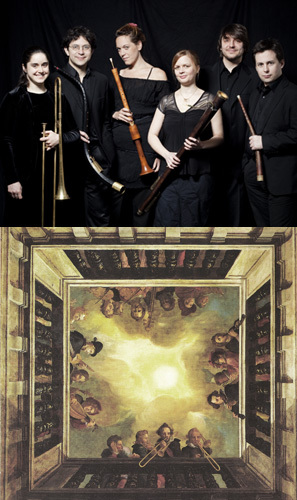 Ensemble I Fedeli brings the festive sound of wind instruments from the Renaissance and Early Baroque to life. Jubilating angel choirs from Lower Austria join the equally celestial instruments and the impressive voice of the Argentinian singer Cecilia Colombo Arellano. Atmospheric motets and songs for the advent from the 16th and 17th centuries announce Christmas time and open the Festival Nox Illuminata.